Cough is so torture, people who only listen to it are exasperated, especially for the sufferer. 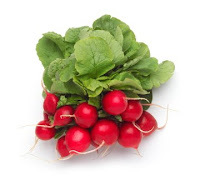 Take a few pieces of radish, grated and then take its extract water. Just take about 2 / 3 cup. This extract being condensed in the morning. After that then can be drunk. Do it every morning until about 5 days. Cough we will soon vanish.